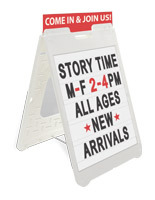 This Sign Supply with Black Writing Surface Uses Wet Erase Markers or Liquid Chalk! 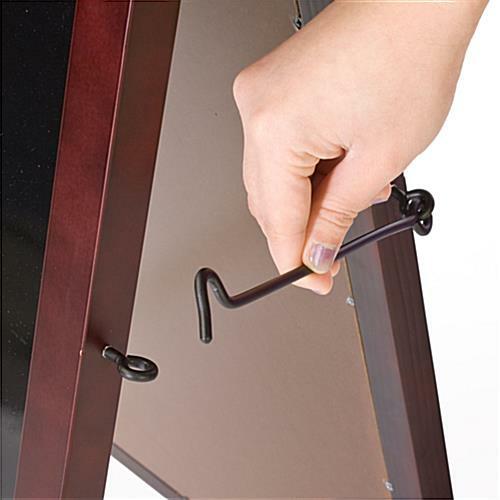 Buy a Ready to Ship Sign Supply Online at Wholesale Prices! Browse the Catalog Today for All Your Sign Making Needs! Durable wood construction is designed to last. 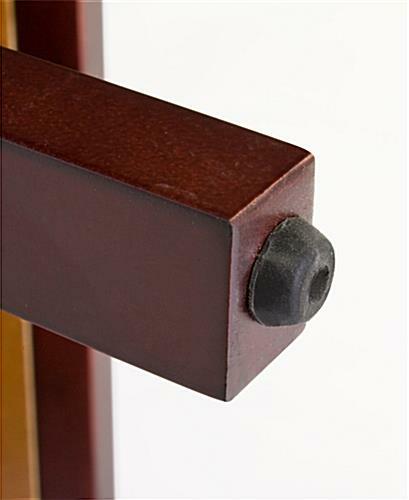 Beautiful dark mahogany finish complements any upscale environment. 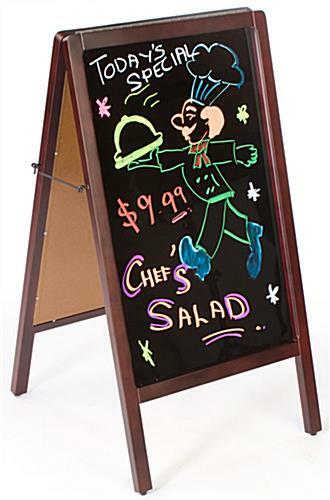 Glossy blackboard for use with wet-erase or liquid chalk markers. 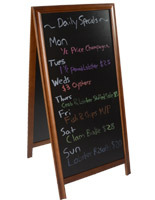 Double-sided chalkboard has 17-1/2"w x 28-1/2" writing area to maximize graphic exposure. A sidewalk sign, like the sign supply seen here, is dual-sided, allowing users plenty of space to write out signage. 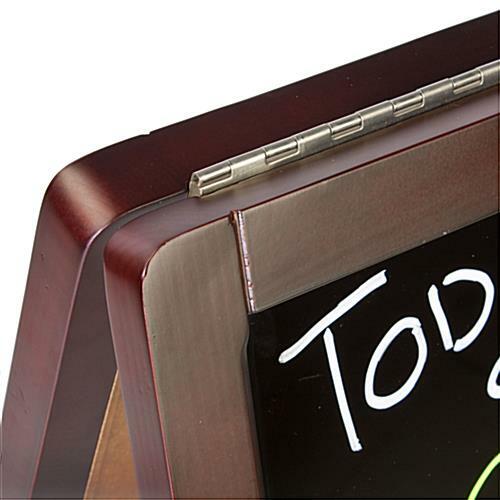 Businesses can utilize this wet erase board to display menu listings, promotional signs and more. This sidewalk sign is a great marketing tool for applications like restaurants, bars, night clubs and storefronts. 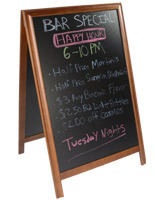 This sign supply, such as a wood-framed blackboard, can be set up in restaurants or sports bars to promote "Daily Specials" or "Menus of The Day". 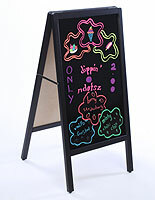 The blackboard can also be used in boutiques or small local shops to advertise special promotions or important announcements to direct sales to their business. This sign supply attractively conveys your sales messages and daily specials to pedestrians and bystanders. The beautiful dark mahogany wood finish makes these sidewalk signs appropriate for any upscale setting as well. 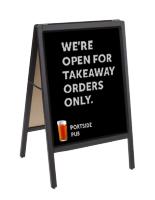 The sign supply is best used indoors, but it is suitable for outdoor use in ideal conditions. 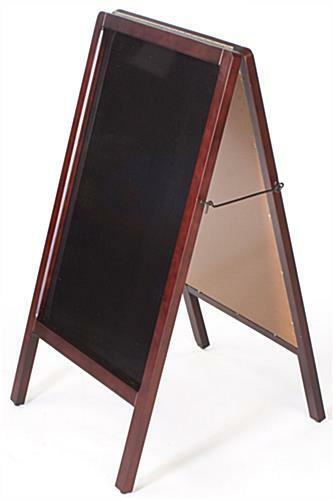 When not in-use, this blackboard menu display can be folded together for easy storage. 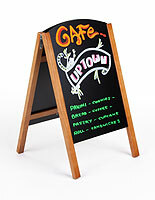 This wood frame blackboard, sign supply features a glossy black writing surface. 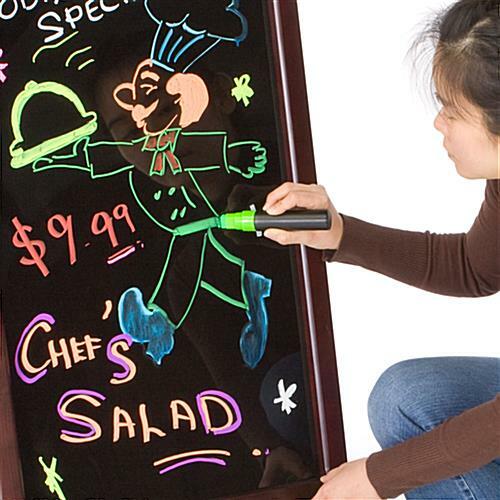 The writing surface is designed for use with liquid chalk or fluorescent wet erase markers only. 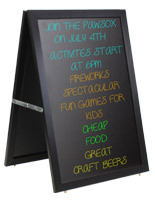 This sign supply is perfect for writing customized messages and ads. Messages can be changed often with little effort by using this sidewalk sign. Simply apply a damp cloth to remove written messages. The use of neon markers is recommended with this sign supply, as the vibrant colors are sure to stand out against the black background. Fluorescent writing pens are sold separately (see related items to the right), so customers can purchase the markers that best suit their needs. Our company is a sign making industry leader, so you can be sure you will find the equipment you seek! 21.5" x 37.5" x 23.5"